Sandwich is becoming a very appealing Dock and Dine venue. Although Sandwich Marina is a little flaky and if you can’t dock, you’re pretty much screwed, I have never been turned away. The Fish View opened last fall and the Pilot House was completed renovated a few years back. Both are excellent. 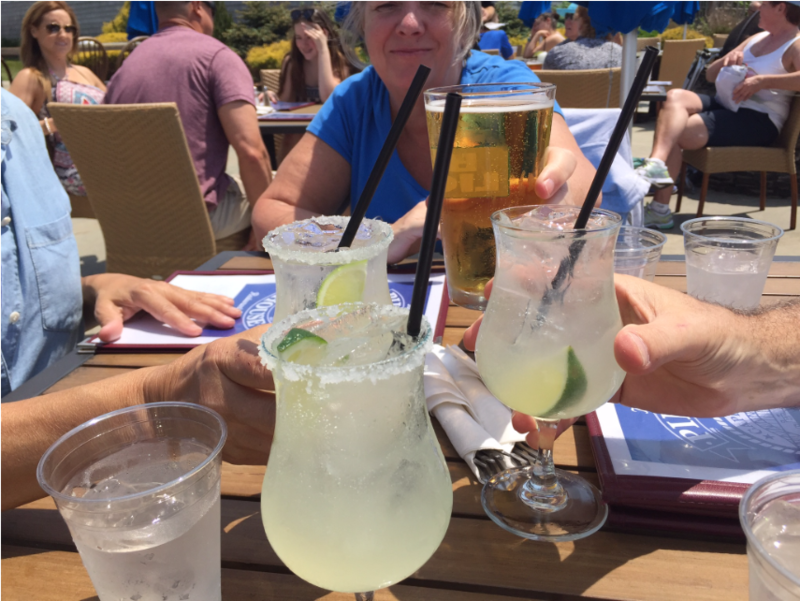 I’ve come to love Skinny Margarita’s – the lack of all that sugar makes if more refreshing and hangover free! Years ago, we went there to dine at the Aqua Grill. The Fish Taco’s were okay, but the carpet smelled bad and the porch was dark. We returned several times last year in Tenacity and discovered a new name, new owners, and a lot of improvements in both atmosphere and food. The new owners have redone just about everything. Best part is the outdoor eating and bar area. Quite nice vibe and views. The food is also great. I’ve had the fried oyster poboy and the fried scallop plate (both for lunch). The scallop plate was only $12.99. I have also had the lobster roll and it was also great and large. They offer both a large and a small which is a nice option for those who aren’t too hungry. We visited there a couple of times midweek and our friend ordered the Seafood Platter ($15.99 for lunch). 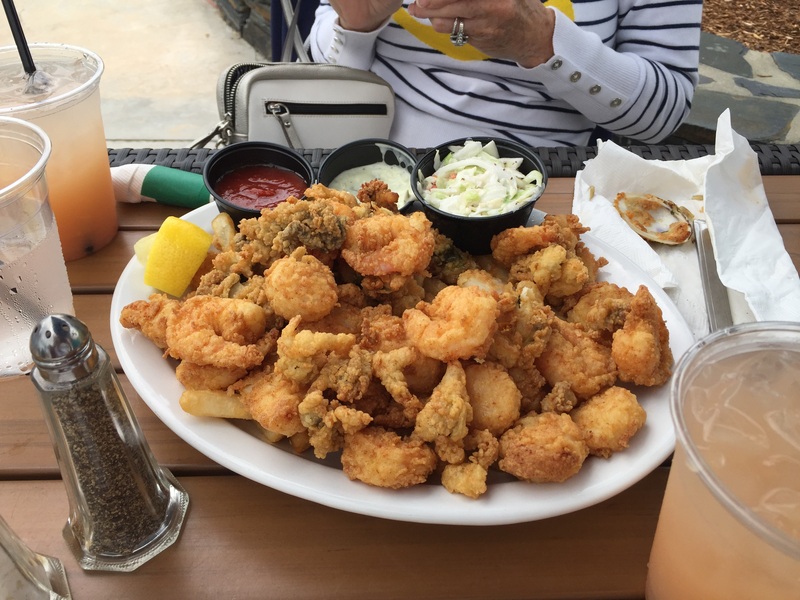 It was massive, as big and rich in clams, scallops, shrimp, and oysters as I’ve ever seen – unbelievable! The biggest Seafood Platter I’ve ever scene for $15.99 at lunch! As I said, it’s a nice “dock and dine”. 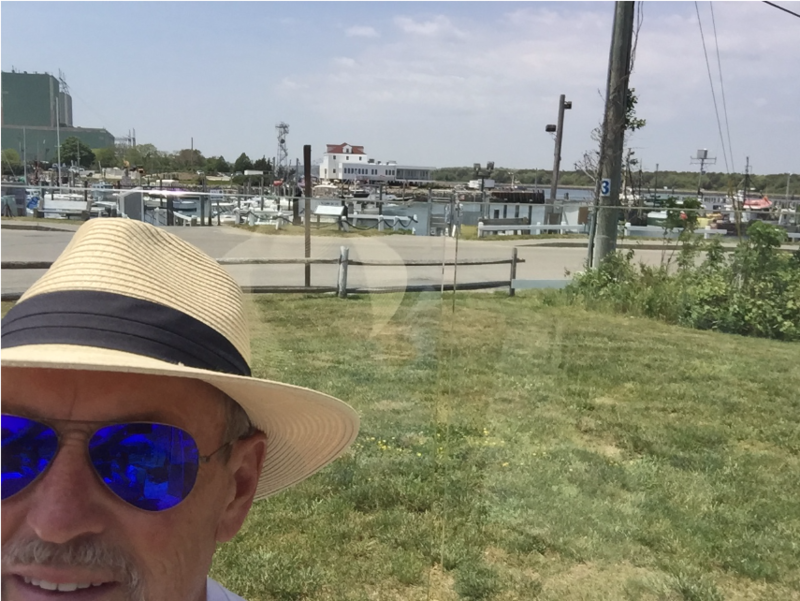 You have to call the Sandwich Marina and pay $20 for 2 hours, but if the bay is rough, it’s a nice ride up the canal and easy access to the Cape Cod beaches. A nice alternative to the Chartroom.